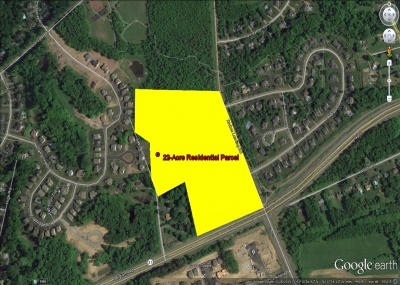 This development site sits on 1 acre with 165 feet of frontage, located on Rt 31, a high traffic road. Drive-thru permitted. High traffic area next to I-81 and on the corner of Fayette (9,000 cars/day) and Almond St (3,400 cars/day). This 1.5 acre site is an out parcel of the TOPS Supermaket anchored shopping center entrance and a major artery off of Rt 81, Exit 36. There is $7,500/month potential income for part of land, and shared access to the shopping center parking lot. Multiple connected buildings on 2.2 acres adjacent to Destiny USA, new Embassy Suites Hotel, NBT Bank Stadium, and Syracuse Inner Harbor. This building has one-of-a-kind 360 degree views of the greater Syracuse area. Eligible for historic tax credits and or other local, state, and federal incentives. 1.9+ acres of commercial land for sale. The site has 200 feet of frontage and is located on major retail route 57. Former Sharon Chevrolet building (13,775 sf) sits on 3.79 acres and has frontage on both Rt 57 and Rt 31. This high traffic retail artery has 25,000+ cars/day. Industrial land totals 7.68 acres near Carrier Circle. A prime 3 acre development site with 533 feet of frontage on State Rt 104. This site is corner location with potential shared access with Lowe’s. The neighboring retailers include: Lowe’s, Wal-Mart, Bed Bath and Beyond, Aldi, Advanced Auto, Tractor Supply, Staples, Rite Aid, Price Chopper, P&C and many fast food outlets. This site includes 22 Acres and 750 feet of frontage on Thompson Road (29,605 AADT traffic count in 2015). It is ideally situated between I-690 and 1-90 (NYS Thruway). The site is shovel-ready. 1-17 acres available for sale or land-lease in town of Dewitt. This shovel-ready development site has 750 feet of frontage on Thompson Road (over 29,000 cars/day) and is close to the Carrier Circle hotel concentration. There are a multitude of potential uses including hotel, retail, and restaurants. Unique 42 acre estate opportunity in a secluded private historic estate overlooking the village of Altamont, NY. The location is just minutes from downtown Albany and Saratoga Springs, NY; and a short drive to the Adirondacks. The 5,300sf mansion was built in 1925 and includes an attached school, dormitory, guest cottage, commercial kitchen, and swimming pool.